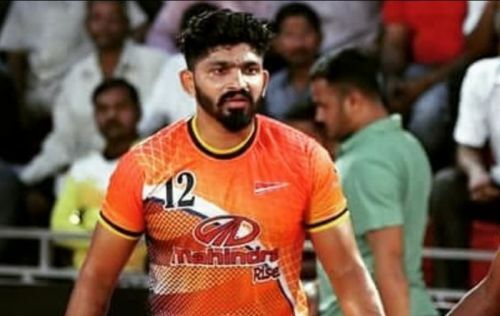 Debutants from the previous season, the Gujarat Fortunegiants under the tutelage of Sukesh Hegde and at a later stage Fazel Atrachali topped the Zone 'A' table with 15 wins from 22 group stage matches and then in the first qualifier, won 42-17 against Bengal Warriors. Unfortunately for them, they could not cross the final hurdle, losing 38-55 to Patna Pirates and with PKL 2018 season only a few weeks away, the Fortunegiants will hope to go one step further and win the title. Ahead of the auctions, the Fortunegiants retained raiding duo of Sachin Tanwar and Mahendra Ganesh Rajput along with their star defender from last season, Sunil Kumar. From the auctions, the Fortunegiants roped in Ajay Kumar, K Prapanjan and Korea's Dong Geon Lee to add firepower to the raiding unit. On the defensive front, Parvesh Bhainswal's services were re-opted for while a ₹30.4 lakh bid for talented defender Ruturaj Shivaji Koravi emphasized the season five runners-up's effort to nurture young talent. Hadi Oshtorak's signing could also mean some foreign flavour in the corner. Here are five impact players who can be expected to shine this season. Hailing from Maharashtra, the defender made his presence felt in the right corner position at the Senior Nationals 2017-18 when he combined extremely well with Girish Ernak to lead the defense unit which helped his team win the title. Training under Shri Namdev Gavde at the Chhava Club, Ruturaj's experience and fearless defending at the corner position will be vital for the Fortunegiants, who will have to make do without the presence of the Iranian defense pillars Abozar Mighani and Fazel Atrachali in the corners. However, much is expected from Ruturaj, whose explosiveness blended into the right sense of understanding of the game will see him hold the aces for Gujarat.